Last night, I spent some time preparing for a talk I’m giving this weekend. One of the jewels of scripture that spoke to me last night comes from 2 Kings 5. This young captive girl’s suggestion eventually led to Naaman’s conversion to a worshipper of God. This nameless young woman planted a seed that eventually found its way to Naaman. Naaman found his way to Elisha. Naaman followed Elisha’s directions to the river. Naama found a miraculous healing in the river. At the end of the story of Naaman is convinced of his need for God. Verse 17 indicates the strength of his new commitment. Of course, the text itself is not about evangelism or evangelism practices. But in this short little story from 2 Kings 5, we see seven evangelism principles at work. 1. The spiritual need of Naaman. People experience spiritual need differently. I call it spiritual thirst (What is spiritual thirst?). Spiritual need is what drives people to search after God in the first place. That motivates you to stop what you are doing, and look for water. Spiritual thirst is the same — people might be too busy to do anything about it now. But eventually, it becomes so great that the person will begin to find a solution. We are wired that way, by design, by God. In the parable of the merchant searching for the fine pearl (Matthew 13:45), the merchant is propelled to find it because he knows it’s out there. He looks, and looks, and looks. There is a “thirst” to propel him to find it. When he doesn’t find it, he keeps looking. When he finds it, he has that “Eurkea” moment. In Naaman’s case, his spiritual need was to find healing. He didn’t want forgiveness, he didn’t want a right relationship with God, he didn’t want repentance — the screaming need was a physical healing that only God can provide. 2. The sovereignty of God in the girl’s position. The nameless servant girl was a captive of war. A victim of human trafficking perhaps. Like Joseph or Daniel, and others who grew up in a foreign land, these circumstances are awful but redeemable in the hand of God. In the sovereignty of God, she ended up in the household of Naaman, the commander of the army of Aram (the area of present day Syria), a great man and highly regarded (2 Kings 5:1). Instead of being a servant to servants, she was a servant to Naaman’s wife. With a little imagination shaped by countless movies, it doesn’t take much to think that she was a confidant or a trusted sounding board for the wife and heard of all sorts of things within the household. One of those items she knew about was Naaman’s leprosy. 3. The sovereignty of God in Elisha’s role. Elisha had a reputation as the man of God from Samaria. A long way from Aram. Yet his reputation as a man of God was strong enough that the young captive girl knew of him. Perhaps she had heard of his ministry before being captive. Perhaps she had heard stories of him in the household of Naaman’s wife. The text doesn’t speculate like I am. Whatever the case is, God had raised up Elisha as a prophet and his reputation was now international. He was positioned to eventually be in the right place at the right time. To grab the significance of this, imagine that someone you never knew heard about your ministry by word of mouth from someone whom you didn’t even know. That person recommends you to a spiritual seeker who will travel internationally to find you. With modern social networking like Twitter and Facebook, and search engines like google — that happens rather quickly and easily. My webinars get people from all over the world attending my virtual classroom. But back then, imagine a person from another country talking about your ministry and recommending your ministry. There are lots of links in that chain. God had positioned Elisha and his reputation to be at the right place at the right time to minister to a foreginer who would come and seek him out. This young girl spoke what was on her mind. She raised an idea that became a seed. Perhaps if you searched for Jesus, you’ll find forgiveness. Perhaps if you pray to Jesus, you’ll discover . . . . If only you’d try Jesus, you’d find. . . . as I have. . .
Little phrases like that can become powerful thirst enhancers in the hearts of those who are thirsty and searching. Perhaps God is doing something here. I’ve got 20 intercessors praying for you. Do you think God might be answering some prayer to demonstrate his love for you? It’s just a suggestion, just like the servant girl was making to Naaman’s wife (not even direct to Naaman). A seed that the Holy Spirit can use in the life of my friend. 5. Spiritual Thirst propels actions that overcome challenges. Somehow, the servant’s girl suggestion found it’s way through a third party (the wife) to Naaman. He heard about her suggestion and then had to take the time to make plans for international travel to a hostile nation (Israel) that he had been in charge of raiding. Obstacle 1: As the leader of the army, taking time off for personal reasons was not easy. Obstacle 2: He wanted to visit a country where he had been invading. Would the king let him go on holiday to an enemy land? Obstacle 3: Would Israel even let him visit or kill him upon sight because Naaman was the enemy? The king needed to give him a letter of permission and a clear letter of intent to the king of Israel as to why this foreign military commander who led raids into that country (v 2) was in Samaria. Imagine Osama Bin Laden’s top military commander wanting to come to the United States for medical treatment and asking President Obama for permission. In that unlikely scenario, perhaps you get the extent of the difficultly Naaman faced going to the land that he had previously been attacking. All this takes time and these obstacles seem insurmountable. The seed had been planted, but the execution of the plan of action takes time. When people are spiritually thirsty, they will go through great lengths to find a solution to that thirst, to overcome all the obstacles that are in front of them. We see this with Naaman. As evangelists, we need to give people time to react to the seeds that we’ve planted. The Holy Spirit is sovereign enough to water the seeds, and to use us to water the seeds that others have planted. 6. The sovereignty of God over mistakes in the Journey. Naaman went to the king of Israel, his enemy. He went to the wrong person. The letter from the king of Aram suggested that the King of Israel could heal Naaman. Again, wrong person. The king of Israel began to think this was a trap. The circumstances are getting out of control — this is not what was supposed to happen! Wrong person, wrong plan, wrong interpretation of events. Yet in the sovereignty of God, Elisha heard of the situation and stepped into the picture. The plan resumed — Naaman found his way to the right person. We might make mis-steps along the way. Seekers, sojourners, the lost, whatever term we might apply, can get so spiritually needy that they will try anything. Experience mystical experiences that get misinterpreted. Yet in the sovereignty of God, even these mistakes can be overcome. 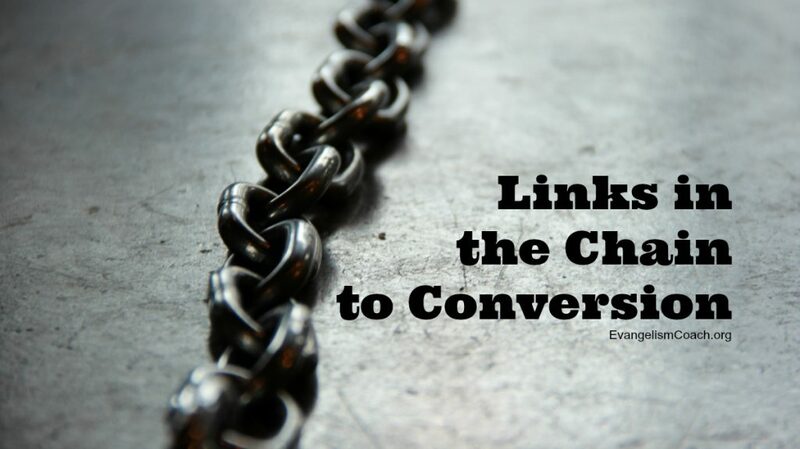 Can we be like Elisha and offer solutions that point to Christ? 7. The work of God in healing Naaman. Naaman expected a magic trick. A waving of the hand from Elisha. As a foreigner, his worldview was slightly different. He expected one thing and got another. I think in God’s planning and wisdom, the healing came about differently than expected, to show that it wasn’t Elisha that was the healer, but Elisha’s god. Naaman didn’t even get to see Elisha. Instead, Elisha sent a servant out with instructions. At this point in the text, there is no clue that they even meet personally. Naaman was pretty frustrated over this. This wasn’t what he was expecting. Yet in the sovereignty of God, a wise servant intervened. Naaman eventually came around, washed as instructed, and found healing. This is the act of obedience that triggers the full working of God’s kairos moment. Faith coupled with obedience. Naaman was healed, and this prompted his self-offering to the Lord. A deep conversion. I’ve developed a course on personal evangelism to centers on seeing and responding to spiritual thirst. Read more on how to get the course by clicking on the banner. How do you start Witnessing to Somebody? I have long felt that my purpose in life is to uplift, encourage, witness and be an ambassador for Jesus Christ. I have had so many others tell me that they see “the gift” long before I was ready to acknowledge this gift. My years of success in “Sales” over the years has made me realize that it is time to give back to God. My ability to reach out and capture people with words, belongs to God. Amen. All of us have a role to play in the Great Commission. This week, I happened to be teaching students in a missions school about the calling God has on our life. As you enter that next stage in the unfolding plan of God, may you experience the joy of seeing the fruit of His call in you.